This year, I was able to get my Barbarazweige right on St. Barbara Day: 4 December. Our neighbor always lets me cut off a few twigs of the same tree in his garden, and I’ve just learned it’s actually a copper beech. Unfortunately, he said the tree was starting to rot, and he had to trim it just before I came over. I like to recycle, so I picked my twigs right from his green waste bin. 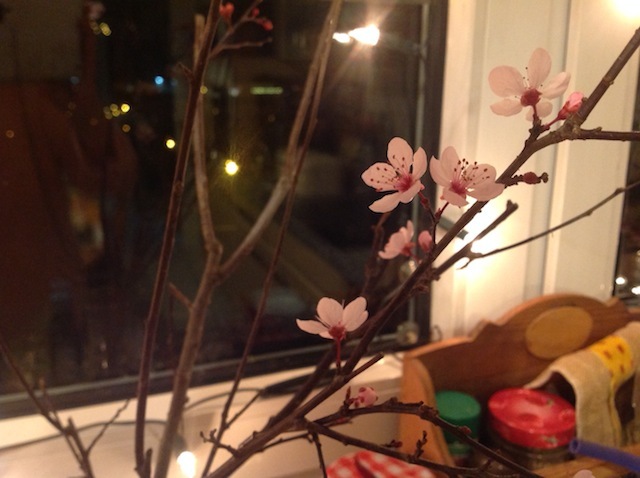 The blossoms are doing really well, and they like the warm spot in the kitchen. 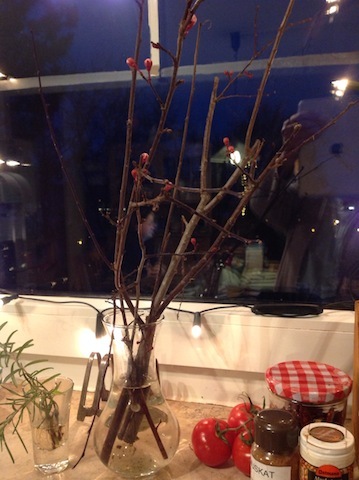 Lesson learned: In a warm kitchen, you can bring fallen twigs from almost any deciduous tree to a bloom. You can learn more about the origin of this tradition on Gardena. Edit: Some blossomed this very morning on 17 Dec 2018! 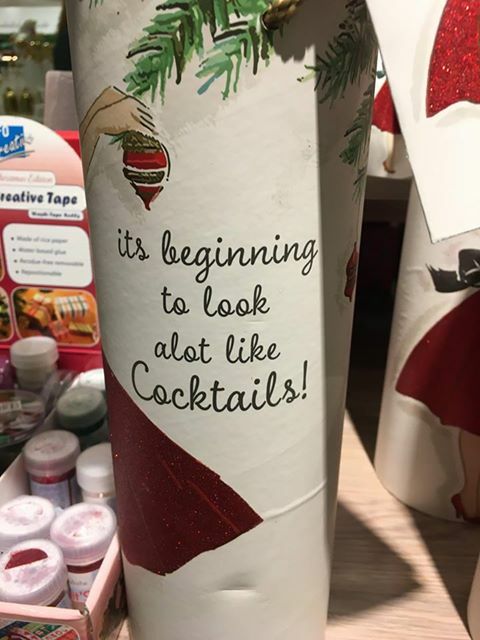 They are supposed to come into bloom on Christmas. Spotted this gem at Galeria Kaufhof at the Main-Taunus-Zentrum (MTZ) today. Did you know? MTZ was also the very first shopping mall to be built in Germany (modeled after the American prototype) in 1964. The time has come for our Nordmanntanne (Caucasian fir) to get picked up by the tree collection truck on Monday, 16 January. We apartment dwellers will just dump it over the balcony. The Hausmeister will go around, and pull them over to the sidewalk. 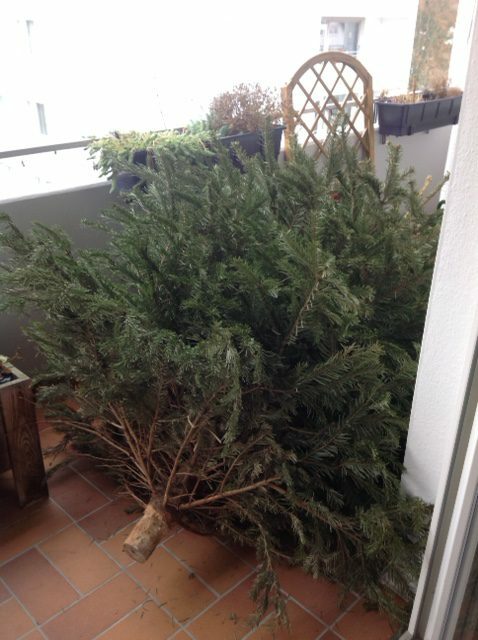 Our fir has been resting on the balcony ever since we took off its decorations. This is usually done by Epiphany, 6 January. In Germany, about 22 million households have a Christmas tree, with a third of them getting decorated the day before Christmas Eve. When I was a child, the tree got decorated about an hour before the gift-giving on Christmas Eve. The tree had to be a secret, so my folks had to wait till the last moment. It was Christkind who brought the presents and decorated the tree as well. 135.000 children send a wish list to the Christmas post-office in 51777 Engelskirchen (near Cologne). The tradition of eating goose on Christmas Day probably comes from England. 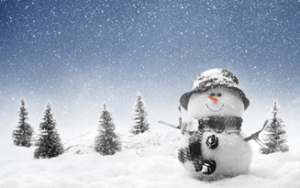 30% of all Germans hope for a white Christmas. 91% of all Germans exchange gifts on Christmas eve. Parents spend on average euro 78 for presents per child. Which town has the oldest Christmas Market in Germany? 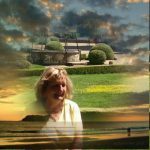 Among the many questions I get from expats around the area, this one is related to Christmas. The town is Dresden. Its Christmas Market, also locally referred to as Striezelmarkt, was the first one of its kind to be mentioned in 1434. Meaning of Striezel (m): 1) In eastern and central Germany, a Striezel is a yeast dough bread, similar to Stollen (e.g. Weihnachtsstollen). 2) The term can also stand for ‘naughty boy’.